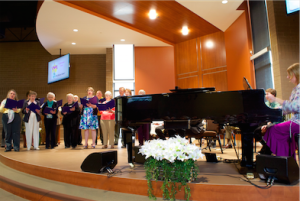 The church has four choirs that would love to have you as a member: the Bell Choir, the Gospel Lites, the Chancel Choir, and the Children’s Choir. If you love to sing or would enjoy learning how to play bells, please contact the church office for more information (262-567-2144). The Jubilate Ringers are in their 3rd season of ringing at Good Shepherd United Methodist Church! 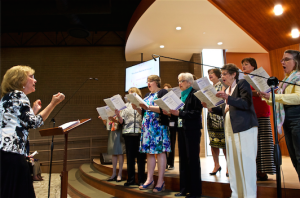 We hold seasonal bell and vocal ensembles for special times of the church season. We rehearse 7-8 times prior to the Christmas and Easter seasons to prepare for a children’s music program at Christmas and Easter. Fill in the form below and someone will be in touch shortly!